Greg Chapman Motor Sales offers Central Texas a great selection of used cars, trucks, and SUV's. Since 1959, Chapman Motors has grown along with Austin and surrounding areas. 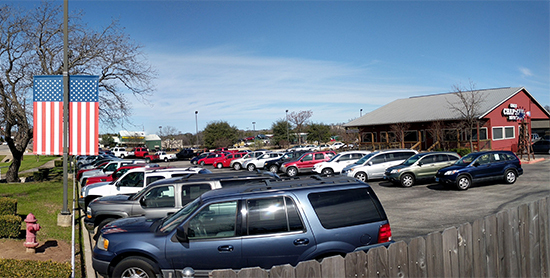 As the 6th location within the Chapman Motors family, Greg Chapman Motor Sales opened its doors in April, 2002 in beautiful Cedar Park, Texas, just north of Austin on Hwy 183. Austin Loves Our Used Cars! At Greg Chapman Motors, we offer reliable used cars at a great price! Our knowledgeable and friendly sales staff will help you choose the used car of your dreams. Don't worry about feeling pressured; come see Greg Chapman, and he'll work with you to find the car and payments to fit your needs.